Help your community explore the wonders of NASA science, and celebrate the contributions of women to science, technology, engineering, and mathematics (STEM)! Libraries and community-based organizations are invited to collaborate with the NASA's Universe of Learning informal education program and partners to empower women’s success—especially in science—starting when they are young. Through Girls STEAM Ahead with NASA, venues may host events, work with subject matter experts, and display exhibits. Events and resources are available and open to all family members, but focus on engaging girls by using field-tested activities and strategies. Your Girls STEAM Ahead with NASA event is completely customizable. It may focus on one resource or feature several to complement girl-serving or staff development programs. Resources include STEM activities, astronomy exhibits and posters, and discussions with NASA scientists and engineers. We encourage you to continue girl-inspiring programming all year long! Girls STEAM Ahead with NASA resources are detailed below and in this summary document. The NASA Astrophysics community has designed many exhibits for use in libraries and informal education venues. Exhibits may be downloaded and printed. Physical copies are available for rotation on a limited basis. Details about sizing and dimensions specifications for the exhibits can be found here. Need to draw attention to your girl-serving programming or want to add inspiration to your teen space? Download and print posters! Printed posters may be available in limited supply for official Girls STEAM Ahead with NASA events. Engage youth in the process of science using NASA Astrophysics data with activities designed to encourage exploration of our universe and how we know what we know. Activities and computer-based activities may be available. Additional resources from the NASA’s Universe of Learning support learning and exploration of the universe. These resources may be used in conjunction with other Girls STEAM Ahead with NASA materials. 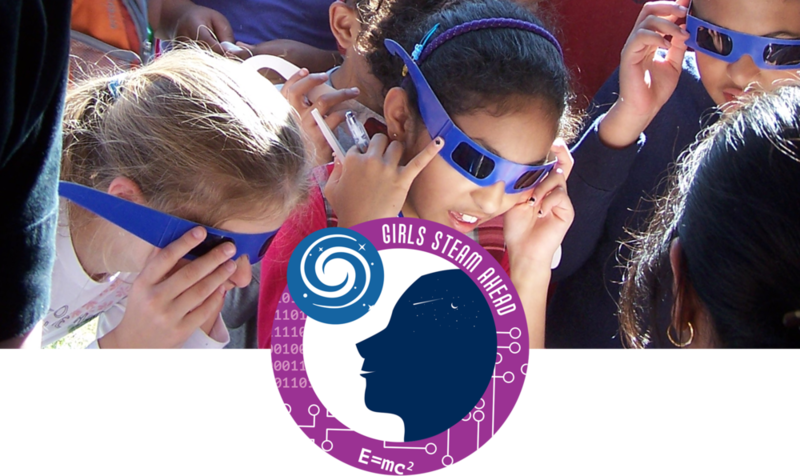 Girls STEAM Ahead with NASA collaborates with library and community-based networks to offer a variety of webinars throughout the year to help informal educators explore new activities, learn best practices for engaging girls, and hear from NASA scientists and engineers. Archived webinars are listed below. Need a webinar on a specific theme or activity? Please let us know! Email girlsSTEAMahead@universe-of-learning.org so we may continue to meet your needs. This webinar provides a program overview and a detailed review of select activities, including: Exoplanet Travel Bureau, TRAPPIST-1 Scale Model, Binary Beading, and MicroObservatory / DIY Planet Search. Email girlsSTEAMahead@universe-of-learning.org for access instructions. The webinar introduces exhibits that complement Girls STEAM Ahead with NASA programming. We also discuss how to obtain and incorporate these exhibits into your programming. This webinar provides a program overview and a detailed review of select activities, including: Exoplanet Travel Bureau, Eyes on Exoplanets, MicroObservatory / DIY Planet Search, and Binary Beading. The webinar also includes suggestions of best practices when working with girls, specifically with respect to the activities described. 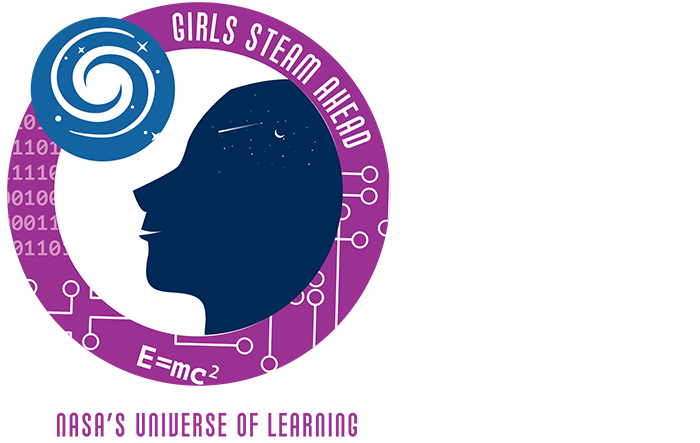 This webinar features the Girls STEAM Ahead with NASA program and activity overview that librarians may use in their Girls STEAM Ahead with NASA event. This briefing features astrophysicists involved in NASA exoplanet missions, including Kepler/K2 and the Transiting Exoplanet Survey Satellite (TESS). This briefing features an astronaut, astrophysicists, and great resources to engage girls at your library or community-based organization. Below, you will find resources to help you promote and execute a Girls STEAM Ahead with NASA event. The materials include standard language about the program as well as space to fill in information about your location. Using the standard branding and language will unite your event with others across the nation. Please use Media Release Forms for photos you take to document your event. Remember to have a guardian sign for children, too. Photos without faces (for example, from behind or over a shoulder) do not require a release.